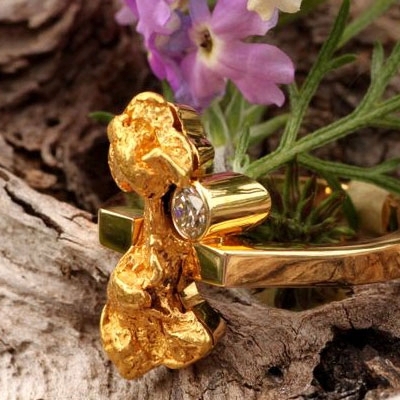 Natural Alaskan gold nugget and diamond in an 18kt yellow gold band. 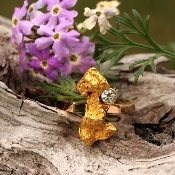 This is a one of a kind ring, because no two nuggets are alike. This ring has sold, but we can recreate this ring for you using a nugget of your choice and diamond or colored stone. Please call us today to discuss a customized piece just for you 907-456-4991.